I've really loved painting killer whales as of late. The have pretty much become one of my favorite animals. They are so majestic, grand, and powerful...elements I tried to capture in this palette knife oil painting. 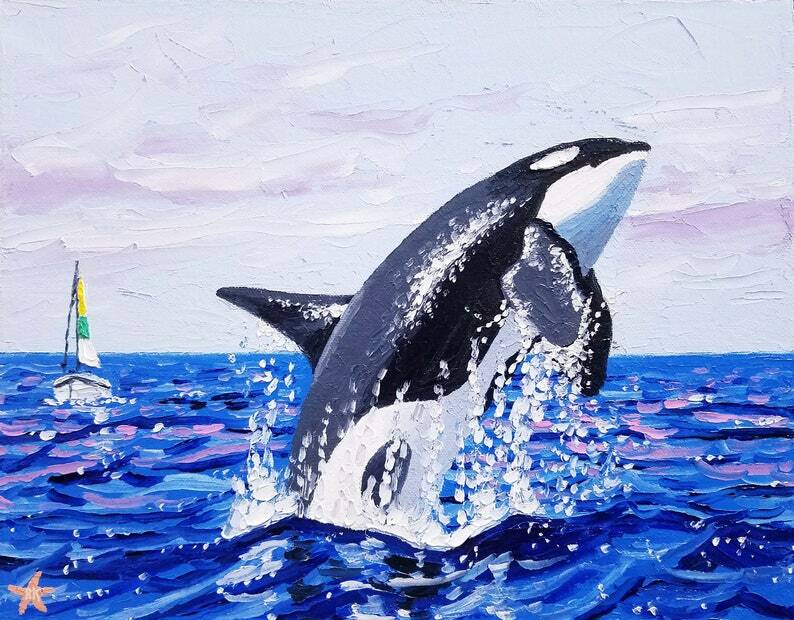 **This orca painting is 11x14 inches in size and comes with a certificate of authenticity, signed by me. The colors and rich textures of the painting make the work pop off the canvas. My 3-D style is very exciting and makes my art unique.